It has become a summer tradition for us to make a trek to the Pacific Northwest. For three years we have gone to Seattle, as you may have read in this post from last year and we absolutely love that area. This year, however, we decided to finally check out Oregon. 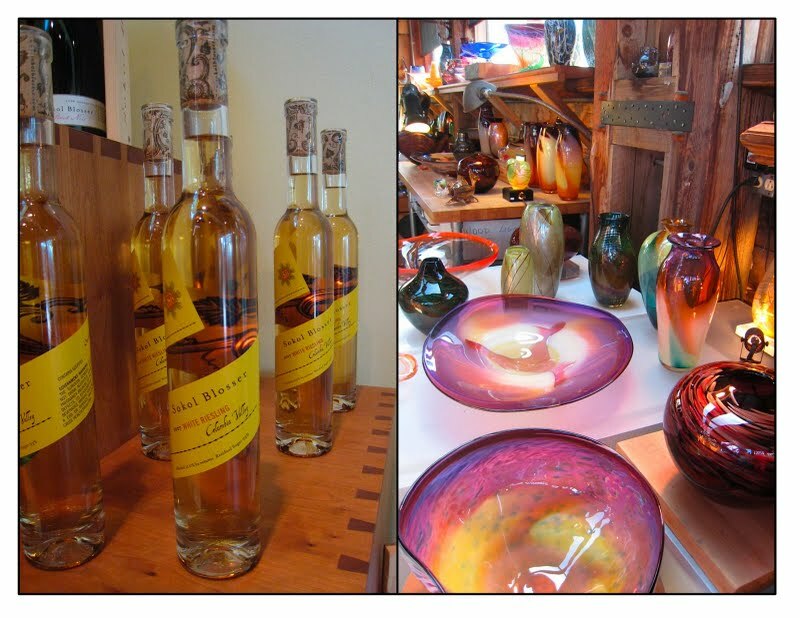 We had heard and read about the great food and wine culture there and the beautiful coast. And boy, did Oregon deliver. We first drove down into Oregon wine country and couldn't believe how beautiful it was. We stayed at the Black Walnut Inn, which looked liked it was set in the hills of Tuscany. It was a very special place, with beautiful rooms and wonderful owners and staff. They serve an incredible breakfast, with several outstanding choices. We were given turnovers of fresh blueberries in phyllo dough to eat while we looked at the menu. The breakfast pizza at the Black Walnut Inn. There are so many wineries in the Willamette Valley that you would need a whole week to really do the area justice, so we had to be selective. The area is, of course, known for its great Pinot Noir. But we first went to the tasting room of one of our all time favorite wines, Argyle. We really love sparkling wines and have bought Argyle through the years. They make some outstanding sparklers. 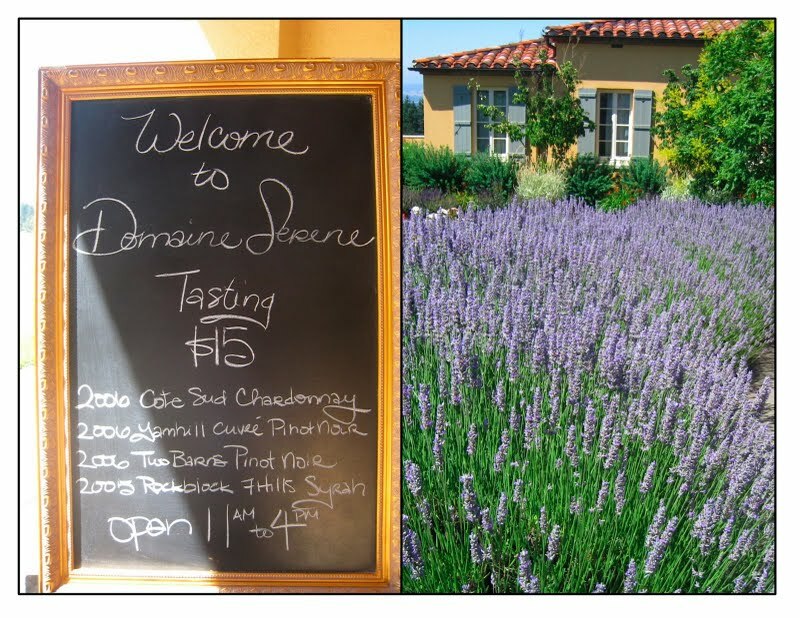 We also wanted to hit Domaine Drouhin, a big name in wine in France which has successfully made some great wines in Oregon now. 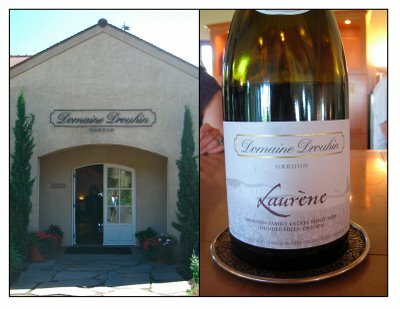 Laurène is their flagship Pinot Noir and it is exceptional. 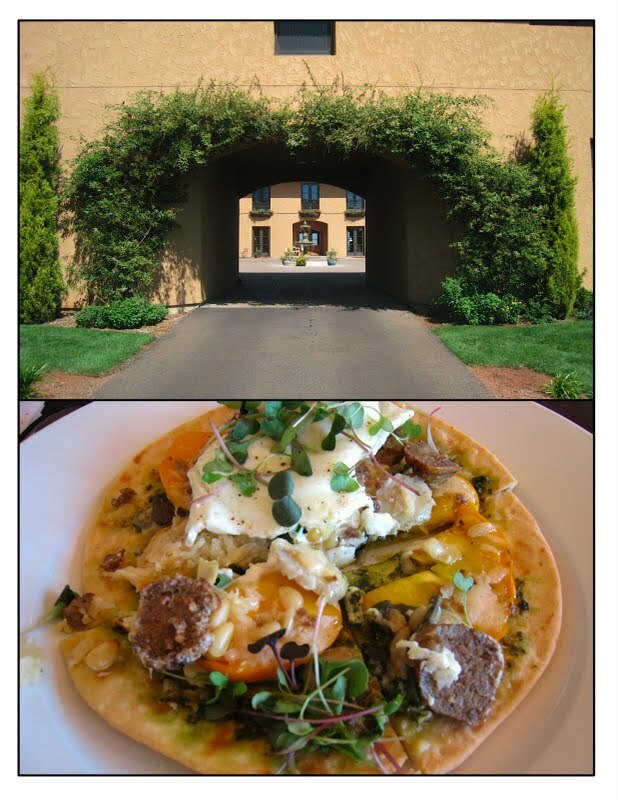 One of the best dinners we had on this trip was at a charming little place in wine country in Newberg called The Painted Lady. 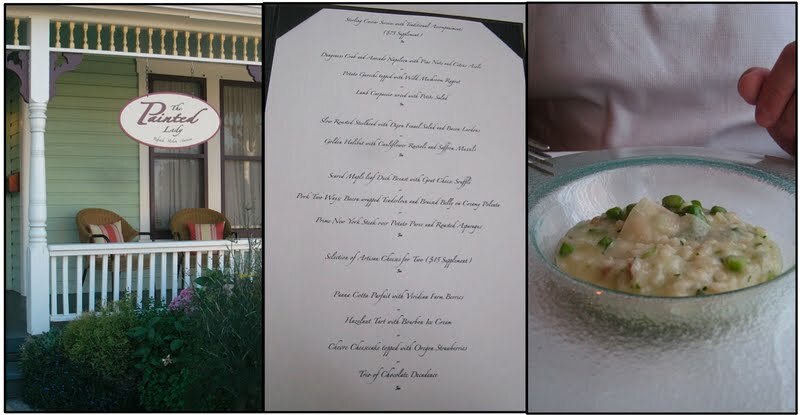 The restaurant was located in a lovely old home and we really loved the menu. It was a four course tasting menu and for most courses there were two or three choices, with a wine pairing. There were also additional caviar or cheese courses, if you wanted them. We had Potato Gnocchi with a Wild Mushroom Ragout, Halibut and Cauliflower Ravioli with Saffron Mussels, Pork Belly on Polenta, and a risotto, among other dishes. We discovered that Oregon produces almost all of the hazelnuts in the United States, so I had to try the hazelnut tart for dessert. 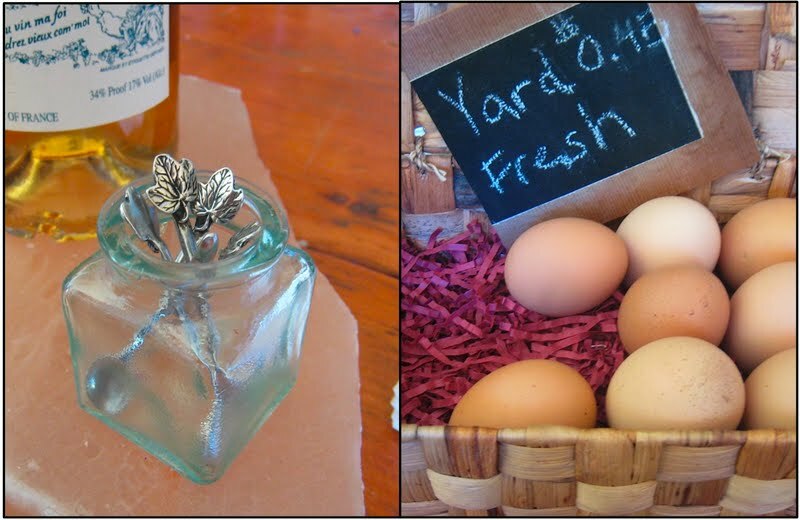 The Painted Lady uses lots of local ingredients and the staff is very knowledgeable about local wines in the Willamette Valley. 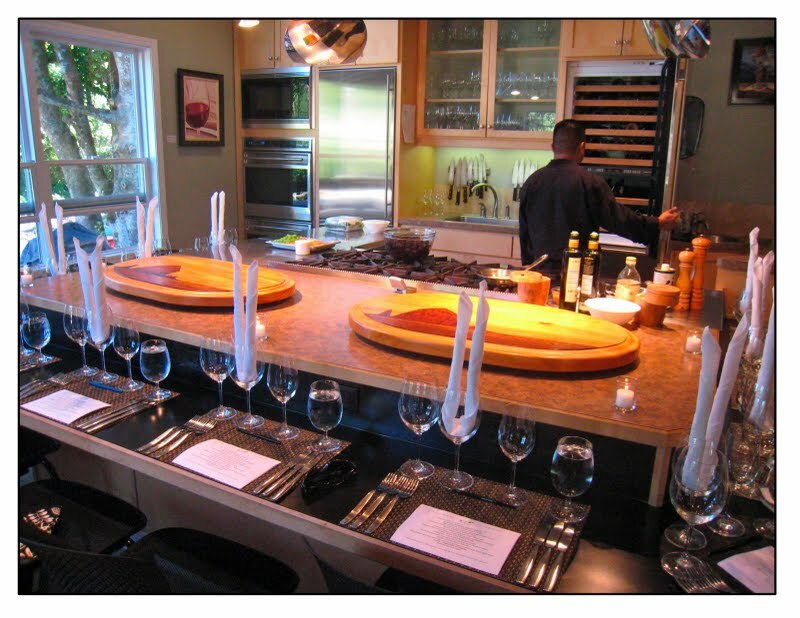 Out on the Oregon coast, we experienced a real treat at the EVOO Cooking School. 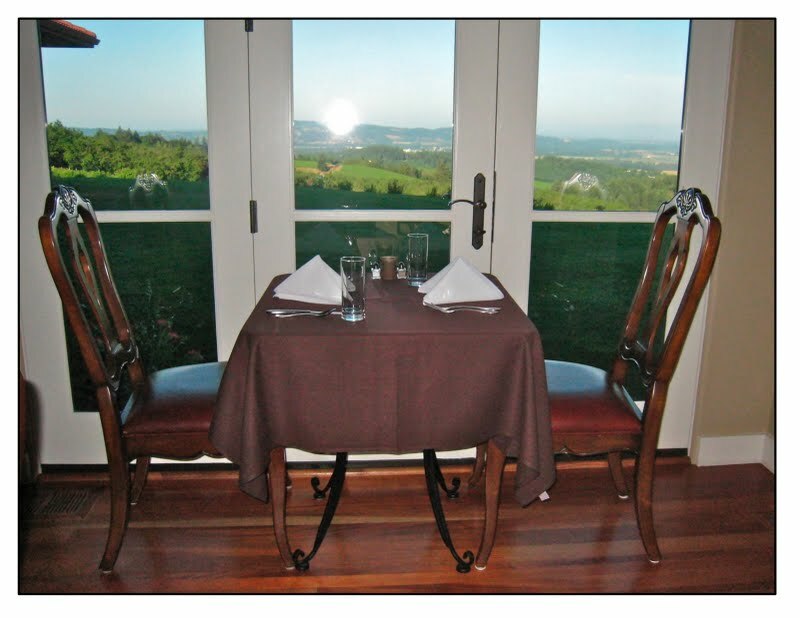 This wonderful place is located in picturesque Cannon Beach, a gorgeous little coastal town. 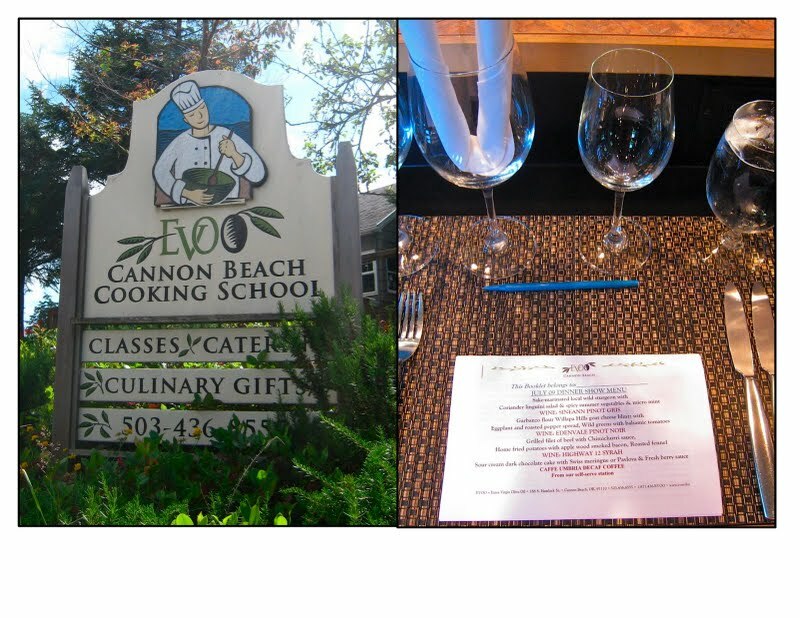 The school is run by Chef Bob Neroni and his wife, Lenore. It is a unique experience that anyone who is in this area should try. They offer dinners in the evening that are far more fun than simply going out to dinner at a great restaurant. The dinner we attended was called The Dinner Show and that's exactly what it was. You are seated in their beautiful kitchen at the school, which has a counter running all around the workspace. It was lined with dinner place settings, candles and a little booklet for each person containing the evening's recipes. 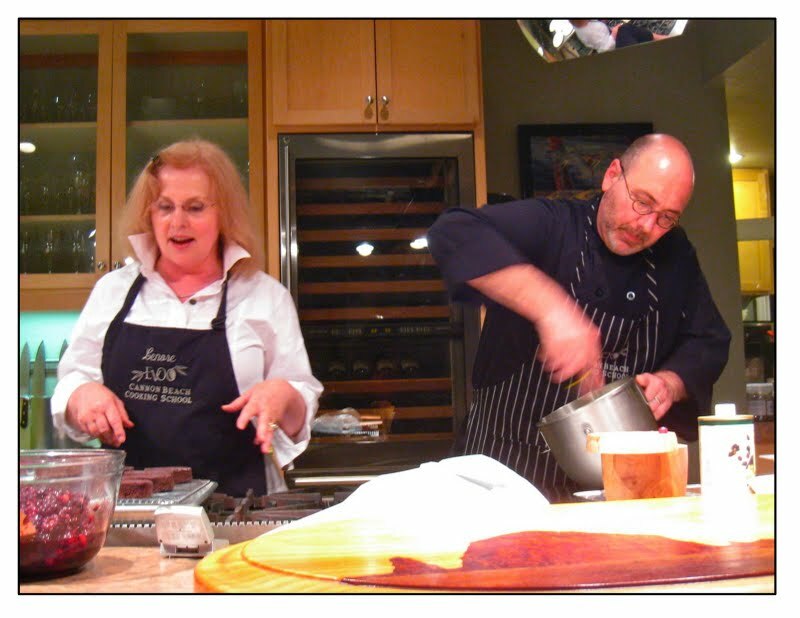 Chef Bob is a passionate teacher and he and Lenore make a great team. They talked about how they used local Oregon ingredients and offered lots of cooking tips, like the importance of mise en place. It was so much fun to watch Bob cook - he was calm and confident, cooking so many items and totally in control. All the courses were paired with carefully selected wines. We had some wonderful items that night, from wild salmon to grass fed Oregon beef. 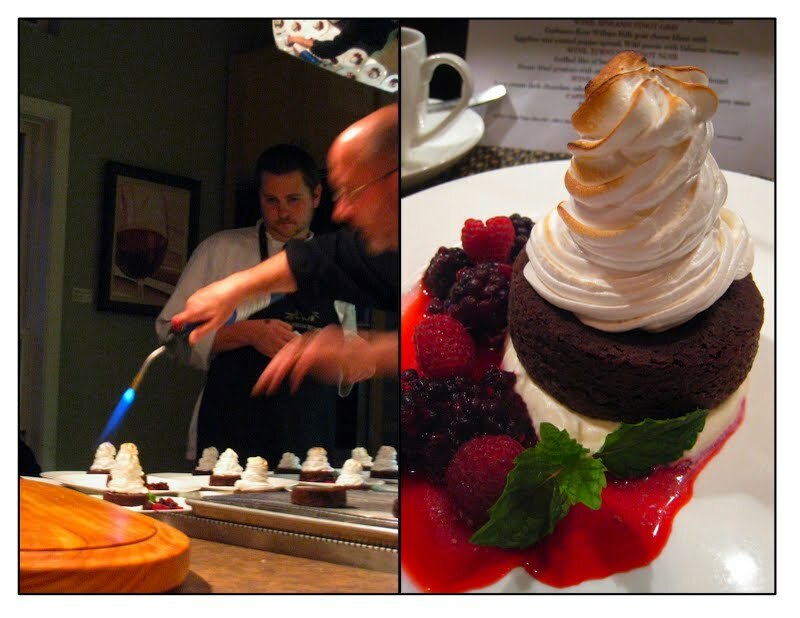 Chef Bob made homemade coriander pasta and an incredible dessert, chocolate sour cream cake with meringue, which he browned right at the table with a blowtorch. If you are in Oregon, or ever visit, put this on your list. If not, at least visit their fun web site - it's filled with great recipes and photos and Bob also writes a blog. 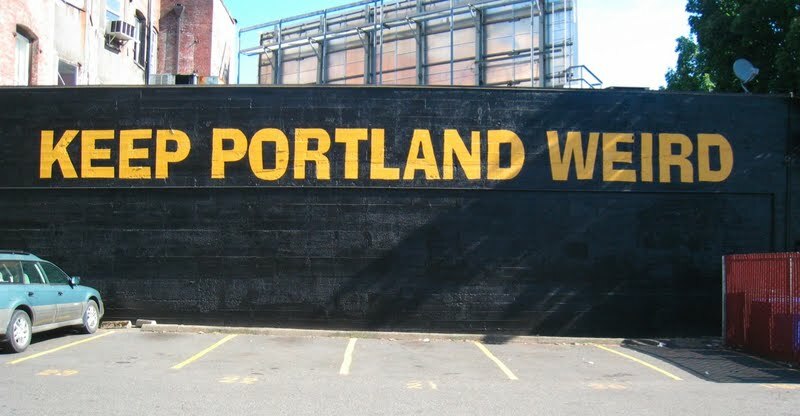 In the city of Portland, we tried to do all the "must see" Portland things - like going to Powell's books, Saturday Market, the Japanese and Rose Gardens and hitting VooDoo donuts. 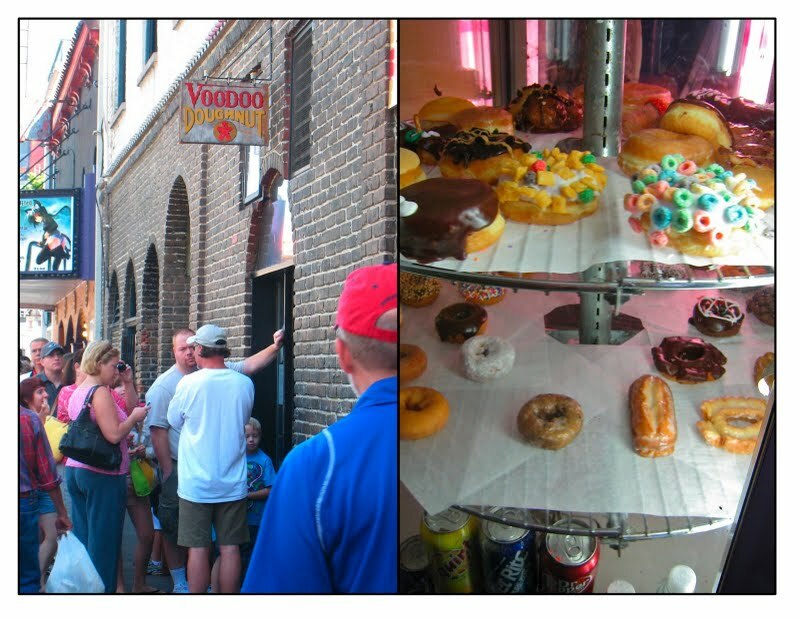 The line at VooDoo donuts and some of the crazy concoctions they make there. No visit to a large city is complete without a stop to Sur la Table. While browsing in the Pearl District's store, we met Renee Behnke, the woman who founded Sur la Table and is now President Emeritus. She has just come out with a new cookbook, Memorable Recipes, and she was nice enough to chat with Brian and I for a while and tell us some great stories. What an interesting person. 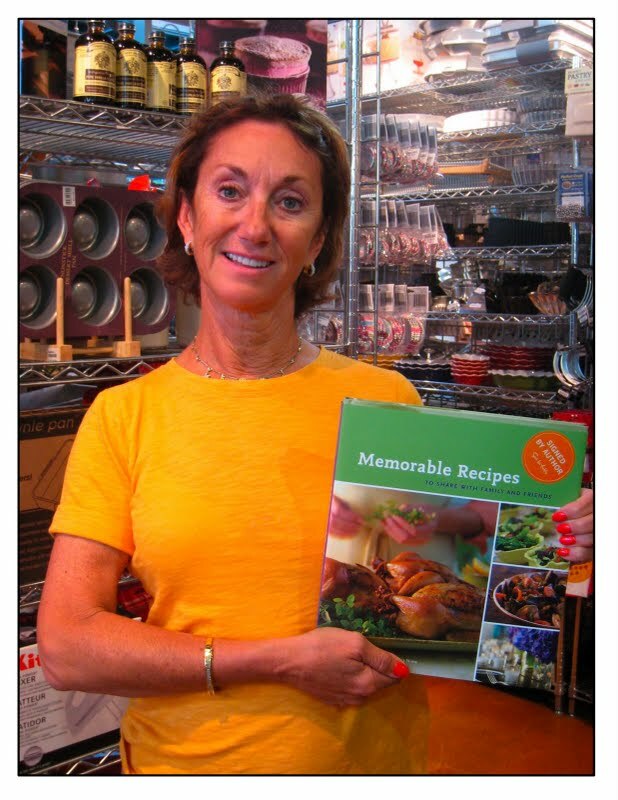 She is a cook and hostess extraordinaire and she includes all her favorite recipes in this great cookbook. Renee Behnke and her new cookbook. Because Portland has so many outstanding restaurants, it was really hard to choose where to eat. But I made some reservations before we left on our trip, making sure that we ate at a couple of places that have gotten national recognition. One of these was Beast, whose chef and owner, Naomi Pomeroy, was named one of Food & Wine's best new chefs of 2009. 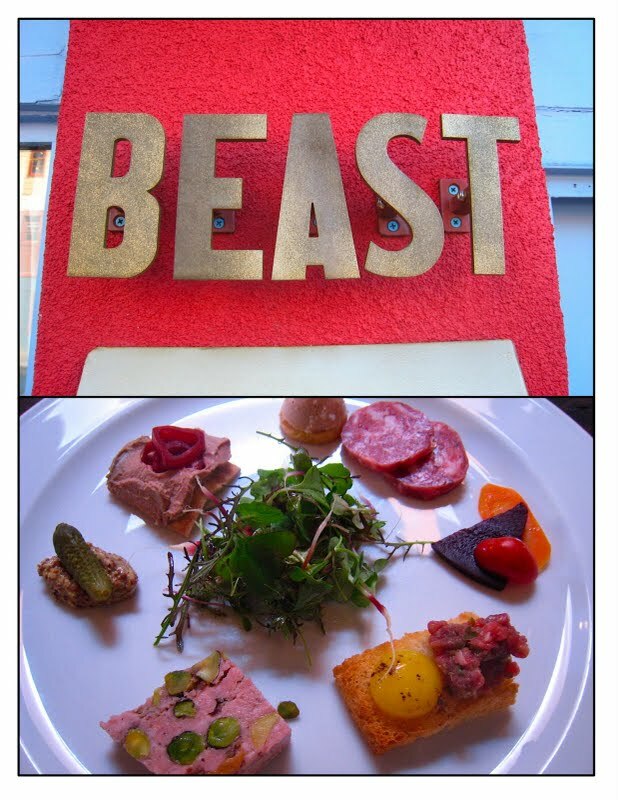 Beast is a communal dining atmosphere, which is not unusual in Portland, and it made for an interesting evening. We met some nice people and enjoyed discussing the food. It has two seatings and we were at the 6:00. Beast has a six course prix fixe menu with an wine pairing option. They also have an open kitchen, so you can watch them prepare the dinner. Did Beast live up to its hype? Some courses did, others did not. The chilled cauliflower veloute was pretty but tasteless - what was the point? They had their charcuterie plate which was very good and the duck she prepared was outstanding. At the end of dinner, they served a little treat to everyone - candied bacon dipped in chocolate! It was delicious. The service was excellent, too, with none of the arrogance that some people claim the servers have there. The big downside to the evening was that their air conditioning just doesn't keep up and so by the end of the evening, everyone was sweating and fanning themselves. I felt sorry for the people coming in for the 8:45 seating. The absolute must in Portland is Pok Pok. This Thai restaurant started out as a little take out shack in chef/owner Andy Ricker's driveway. No kidding. It just got bigger and bigger and he opened a dining area, called the Whiskey Sour Lounge, in his dining room. That's where we ate. 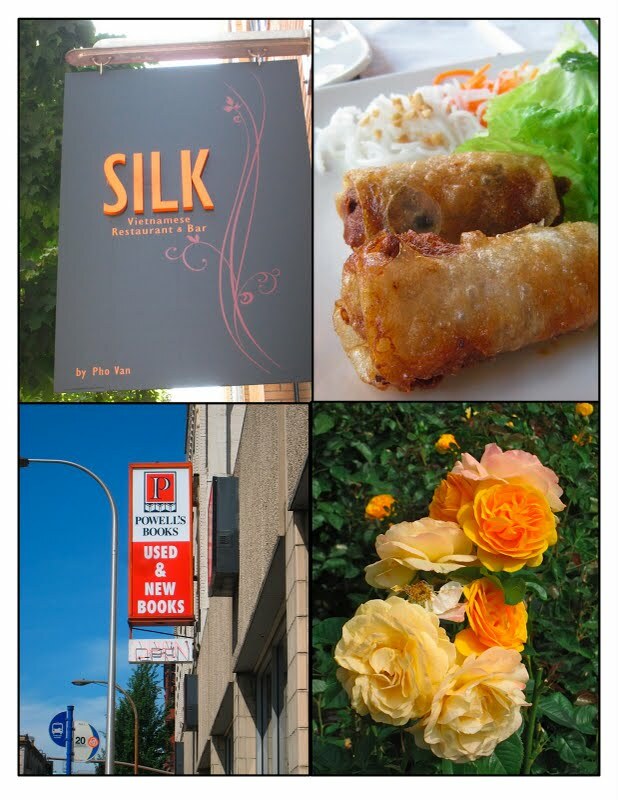 Pok Pok was the Oregonian Restaurant of the year in 2007 and was written up in Food and Wine magazine in an article that included some of their recipes. The hype on this restaurant is well deserved. We absolutely loved it. 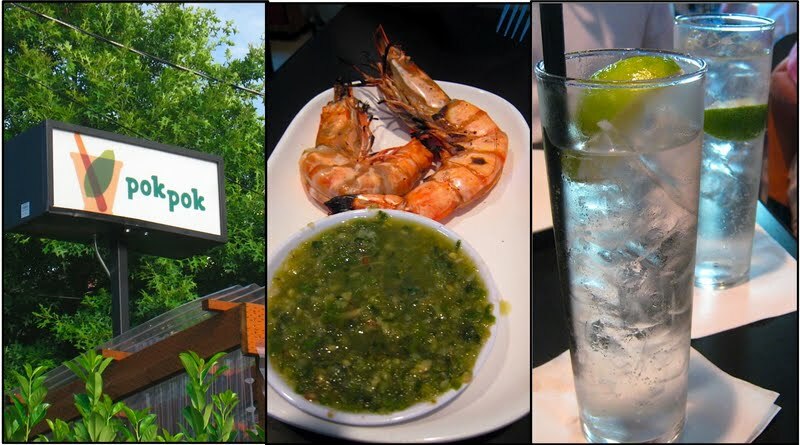 Andy Ricker is dedicated to serving the most authentic Thai food. We wanted to try everything on the menu, but had only one night. The Pok Pok gin and tonics were amazing, using a special lime infused gin. We also had the famous fish sauce chicken wings, which we pronounced the best chicken wings we had ever eaten. Our mouths were on fire, but we couldn't stop eating them. The green papaya salad was refreshing, zippy and very unusual. If we're ever in Portland again, this is the place we will head to right away. Another dining establishment in Portland that made the grade was Clyde Common. This was yet another laid back, communal seating type of restaurant with a very interesting menu. I loved the chicken fried chicken livers with lemon aioli and the English pea ravioli. One of the more interesting places I couldn't wait to visit in Portland was The Meadow, which I had written about before in this post on The Daily Colander. Mark Bitterman sells all kinds of exotic salts and, being such a dedicated salt fan, I couldn't wait to browse the shelves. He had more salts than I've ever seen and very unique Himalayan salt blocks. I picked up a salt block and stocked up on some jars of salt, including my favorite, Fiore di Cervia. 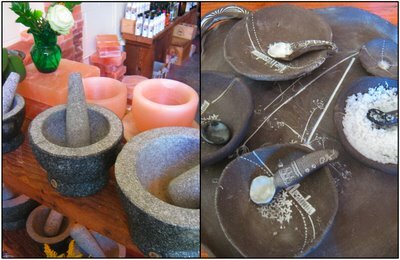 The shop also sells some beautiful items. I picked up some American vintage salt spoons, little salt bowls that would be great for serving salt at a dinner party and a great rustic mortar and pestle set. 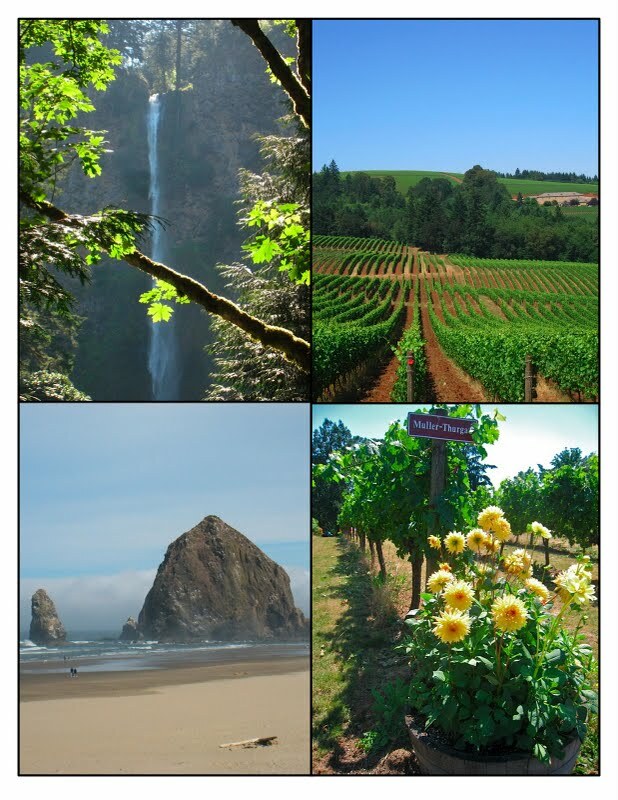 It seems like Oregon has it all - from the beautiful coastline with all its great seafood, to the Willamette Valley with all of its beautiful produce and wines, and to Portland's amazing restaurant scene. Even the Columbia River Gorge area is known for its orchards and wines. looks like you had a fabulous time! I am so jealous of everywhere you went - it all looked beautiful and amazing! The food all sounds wonderful too - now I am going to have to call my parents and inform them of the vacation they need to plan in Oregon! You really hit a lot of top spots! 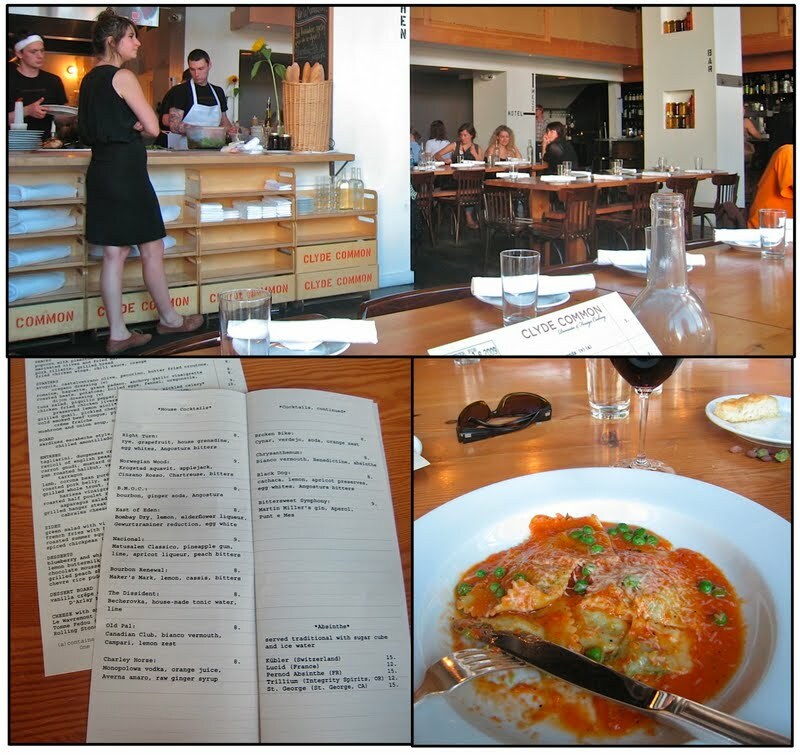 I went to Portland for the first time this past spring and had a terrific meal at Clyde Common as well. And I'm a big fan of the salts at the Meadow, though sadly I didn't make it there on my last trip. Next spring, when I head to Oregon again, I'll stop in there for sure. It looks and sounds amazing. we've done the tour a couple of times and loved the food and wine very much. I pulled together a bunch of videos and articles etc. through Kosmix: http://www.kosmix.com/search/%22oregon_wine%22? Oh my gosh that was fabulous. It is sort of a treat to know this is what we are going to be part of. I am Mike from The Allison, and thrilled to be able to bring more people to these awesome experiences. The Painted Lady is a class act... there aren't many places in the region that offer that kind of experience. Well done! Hope you are able to check us out next time, to boot! August 5, 2009 | Michael H.
Michael H.: I actually checked you guys out when planning this trip - you weren't open yet, but I really wanted to stay at The Allison. Maybe on our next trip! Hello Elaine, I love Oregon. I lived their for 2 yrs many moons ago and we still go their for vacations. Your photos capture some of the best of Oregon. I dream about returning to the coast, and staring at the beauty of Cannon Beach. Did you check out the great cappucino in the coutyard? Marie: Didn't know you had lived in Oregon! What is the cappuccino thing? I am so glad that I have found your wonderful Blog! I live in Orregon and just LOVE the Northwest Lifestyle... so glad you had the opporunity to explore our well kept secret paradise! My son is 15 and loves Italian food... our quest for this Spring Break is to make something new everyday. We are starting with ricotta on Sunday (and then making raviloi with it for dinner) and then moving to the Easter Bread. Do you have any suggestions for other recipies for my budding new chef to try? Kimlyn: I have a 15 year old son, also! And Oregon is still one of our favorite places - you are so lucky to live there. For your son, I would also suggest making homemade pizza - it's fun and easy and, of course, the kids love it. Also learning to make a ragu sauce like my chicken ragu sauce is a good thing. Arancine is fun to make and delicious, too - they are a Sicilian specialty. Good luck and have fun! Hello - I live in Oregon and was so pleased to read about your wonderful trip. My family surprised me last birthday with a day in the wine country and dinner at The Painted Lady. We also had a lovely meal. Also wanted to mention that I came upon your blog while researching recipes for our upcoming Christmas feast. We have chosen an Italian theme this year and will be making many of your fabulous dishes including Rack of Pork stuffed with Apples and Herbs and Crostini with goat cheese, fig jam, prosciutto. Yum!! Italian food is so delicious... My dream is to visit this country and try its cuisine.This content is very informative. Look after yourself!